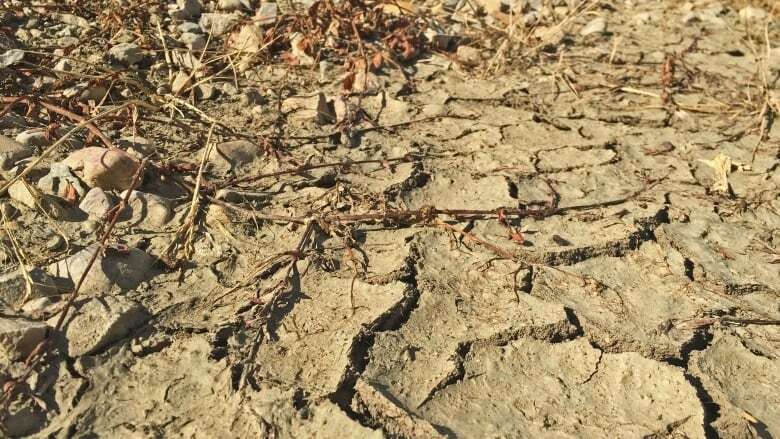 "It's not a crisis right now, but it's building to a different threshold that we need to start planning for," said Mary-Ellen Tyler, a professor with the University of Calgary's faculty of environmental design who studies drought adaptation. "It isn't going to be 50 years between droughts. We're going to be moving into a more constant state of dry." Some regions in southern Alberta are contending with one-in-50-year lows of precipitation accumulation. The bone-dry conditions are hurting farmers' crops and making it hard for ranchers to grow enough feed for cattle to graze on. "The situation for grazing is definitely deteriorating day by day," said Charlie Christie, the head of Alberta Beef Producers and a southern Alberta rancher. If ranchers don't see rain in the next few weeks, they will likely be forced to sell their livestock earlier. They're also trying to get a sense as to whether or not there will be enough feed to get herds through the winter. "We're watching the situation. We're concerned, but we're not deep in a crisis yet. We're staring down the barrel of one," Christie said, from the Canadian Beef Industry Conference in London, Ont., where he and leaders from across the country were discussing the weather challenges they've been facing. Tyler said Alberta's agriculture industry has historically had to adapt to difficult conditions, as that's just the nature of farming in a semi-arid climate, but it's time to start adjusting grazing, land-management and business plans to suit the new climate reality. And, she said Albertans should really think about it as more than simply an environmental issue. "I think there's a tendency to talk about this situation as something environmental, which doesn't seem to be well understood or be a critical issue for a lot of people, but this is really an economic issue," she said. "The fact that we are so dependent upon our natural environment within an agricultural framework, within a grazing framework, for our economy, we need to really bring people on board around the fact that we are already struggling with oil and gas. Do we really want to put ourselves within a difficult position with respect to agriculture?" She suggested producers start looking at social solutions like implementing co-operative grazing to better share water and land. Albertans don't need to start worrying yet, Tyler said, but that could change if action isn't taken. "It's a southern Alberta problem for everyone who lives here and intends to have a future here."